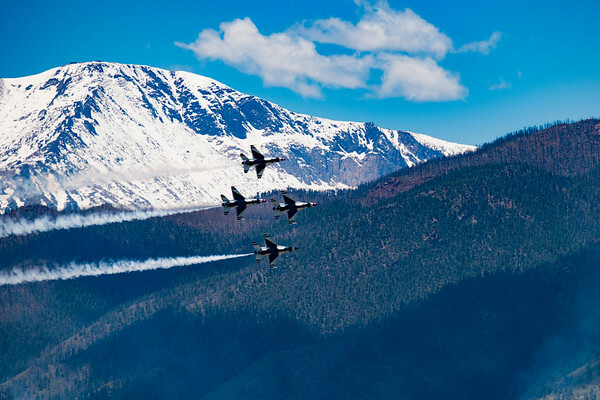 USAF Thunderbirds performance at United States Air Force Academy graduation with a snow-capped Pikes Peak in the background. 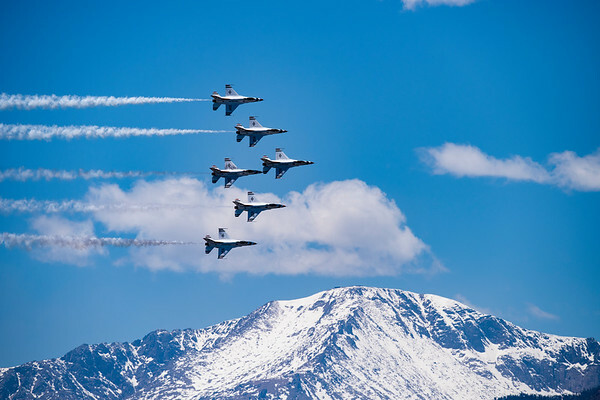 USAF Thunderbirds 1-6 in formation with Pikes Peak in the background. 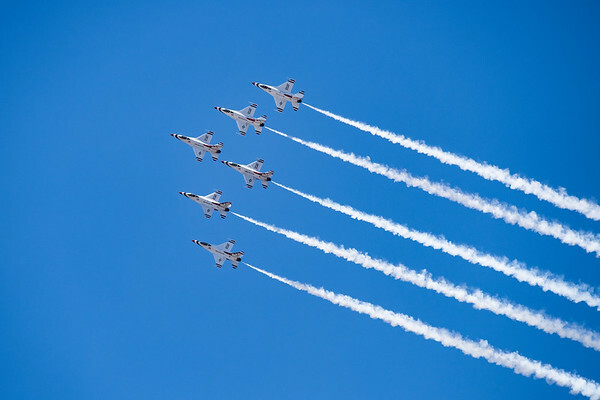 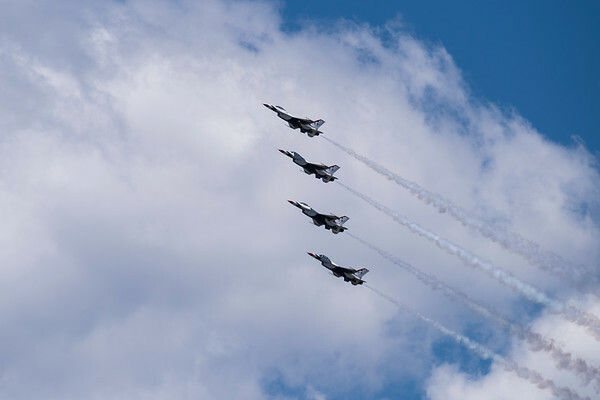 Photo was shot during USAF Academy graduation near Colorado Springs, CO.
USAF Thunderbird team performing the diamond formation during USAF Academy graduation. 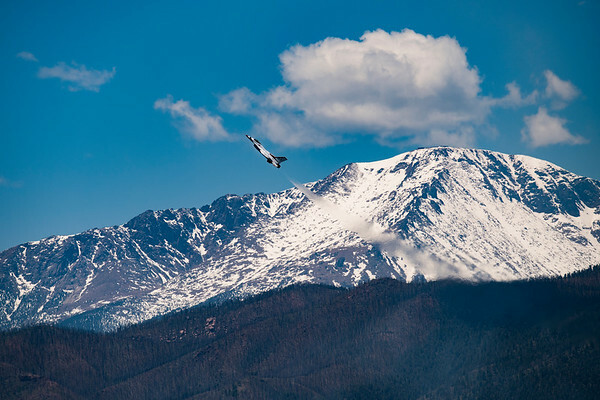 Member of the USAF Thunderbird demonstration team pulling some G's with a snow-capped Pikes Peak in the background. 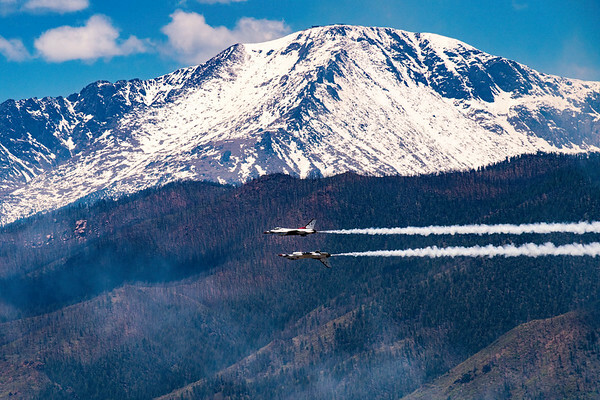 Two members of the USAF Thunderbirds demonstration team performing the Reflection pass maneuver against a snow-capped Pikes Peak. 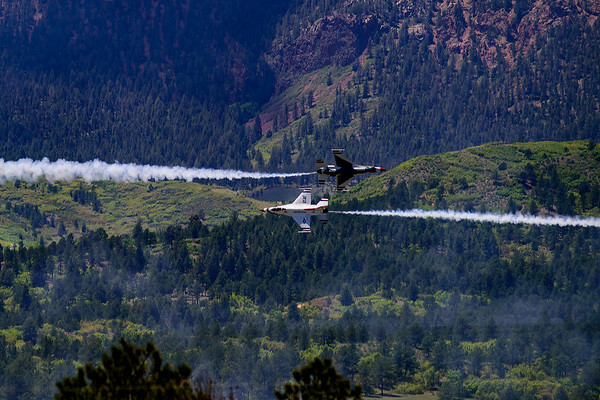 USAF Thunderbirds performing during USAF Academy graduation ceremony.